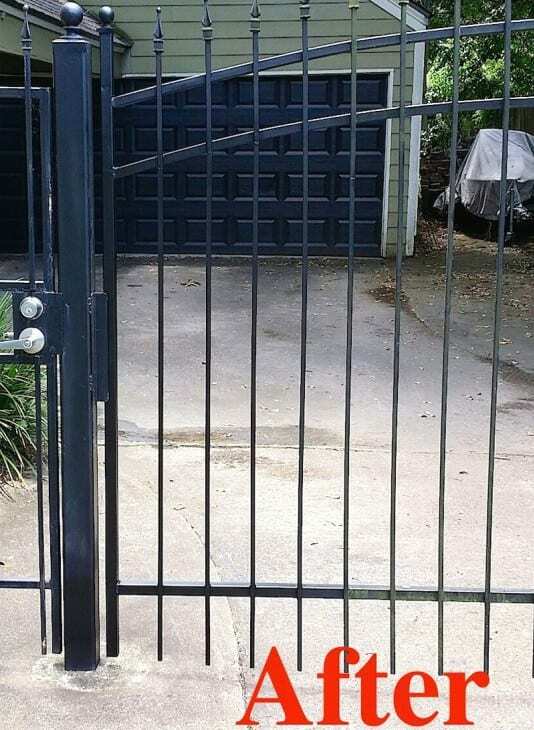 Is your gate damaged and in need of repair? Is your gate dragging on the driveway? 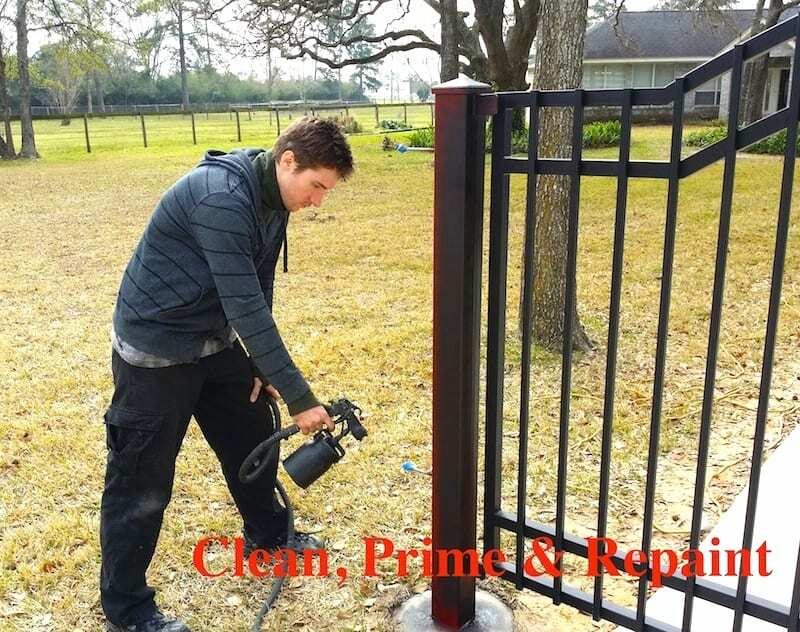 Does your gate need to be repainted? 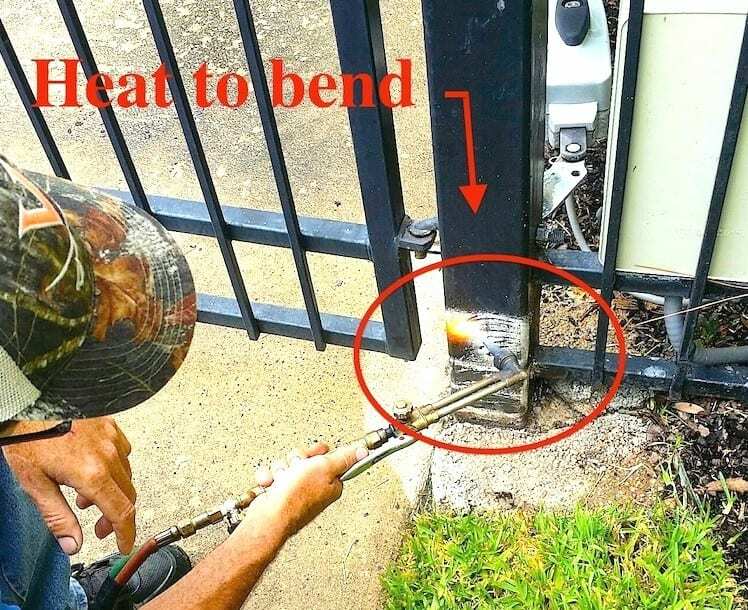 Is your automatic gate damaged? 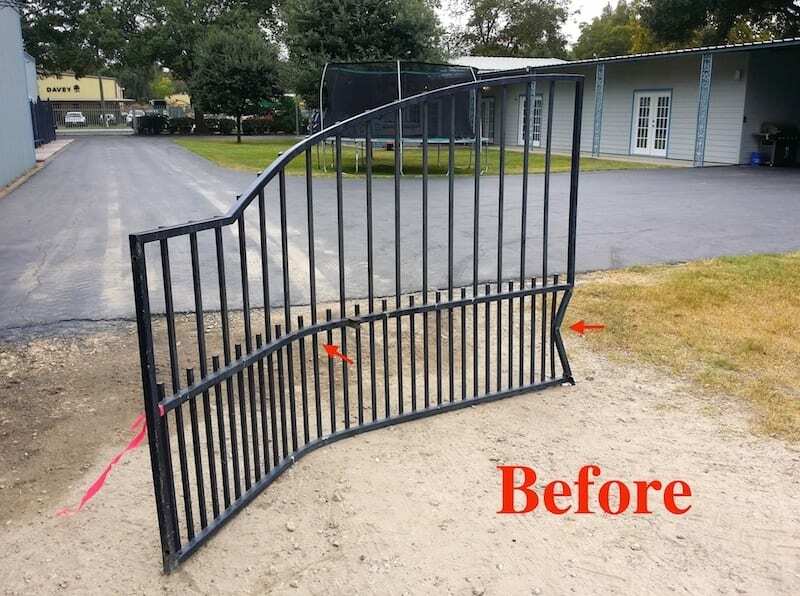 A damaged gate can often be repaired for much less than the price of replacing the gate. 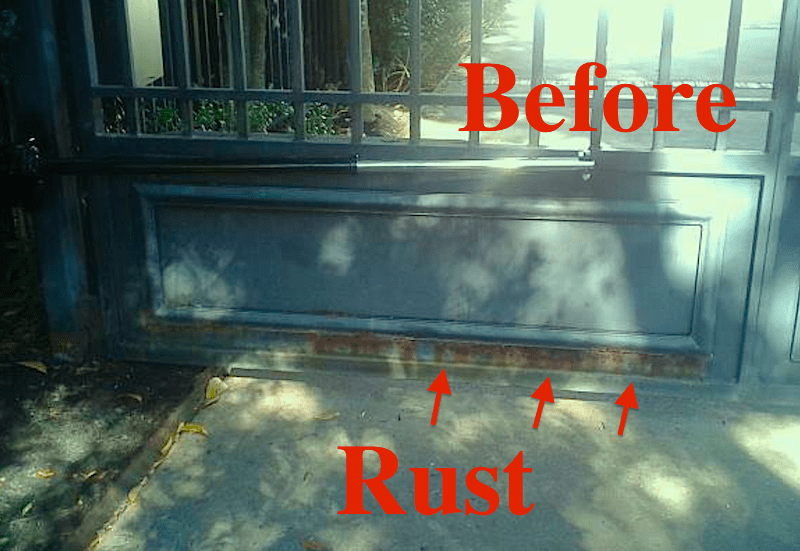 The photo above shows a gate that was damaged such that it was barely functional. We visited with the client and suggested a repair rather than the expense of replacing the gate. 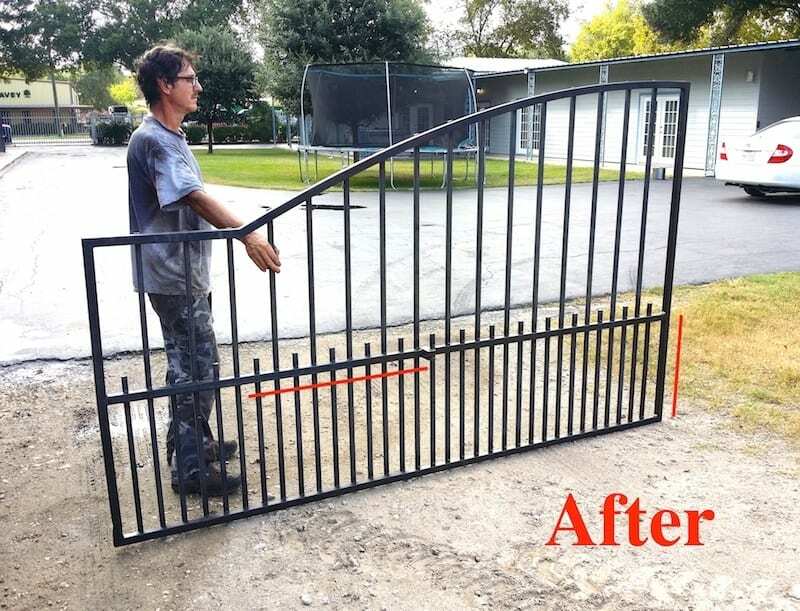 Here is the gate after we repaired it. We were able to straighten the gate along both the horizontal and the vertical axis. Our client was very satisfied, as replacing the gate would have cost considerably more. If your post is leaning less than ½”, we heat the post at the bottom to bend straight. 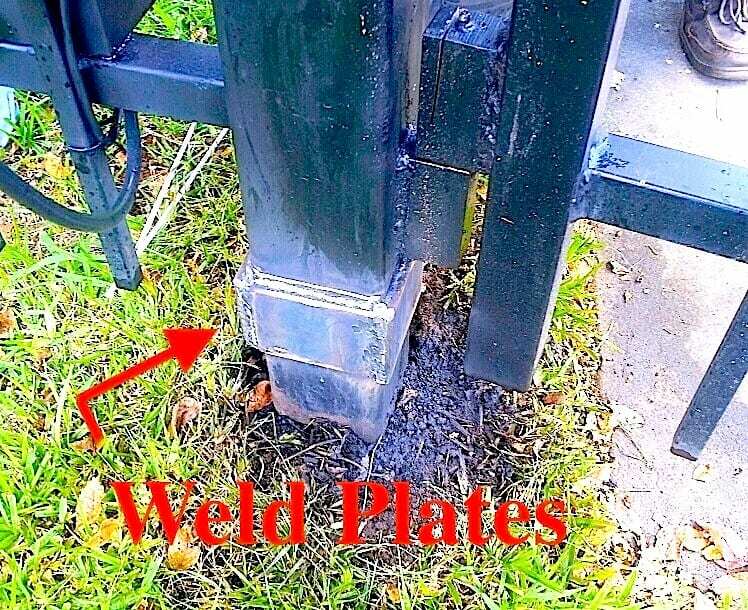 If it is leaning more than ½”, we cut 3 sides and bend and straighten it and then plate weld the three sides. 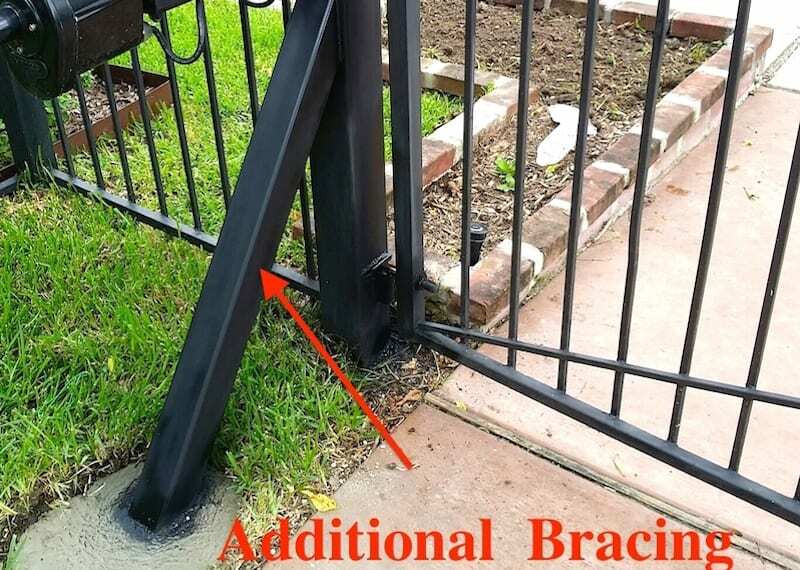 Some gates that lean in when open require additional “kick stand” bracing as shown. Many gate posts are not set deep enough and are loose in the ground. 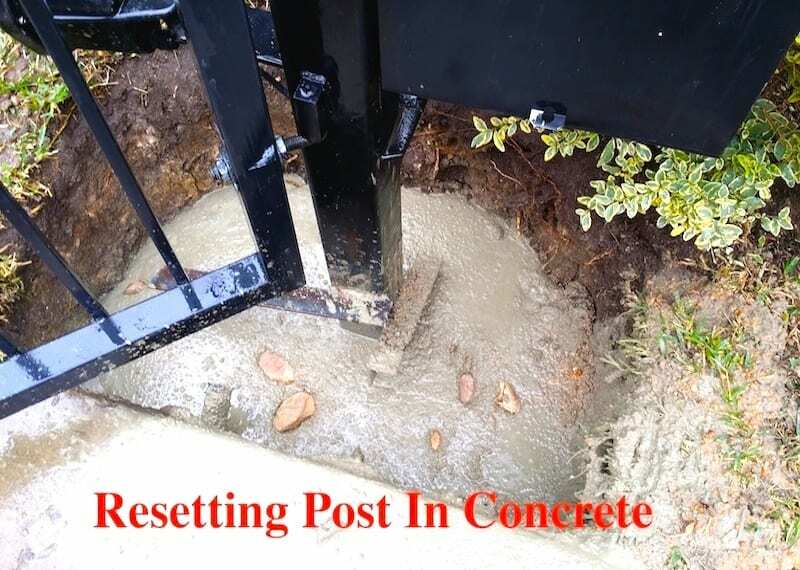 In this case, your post will need to be reset in new concrete with steel braces welded on the post. 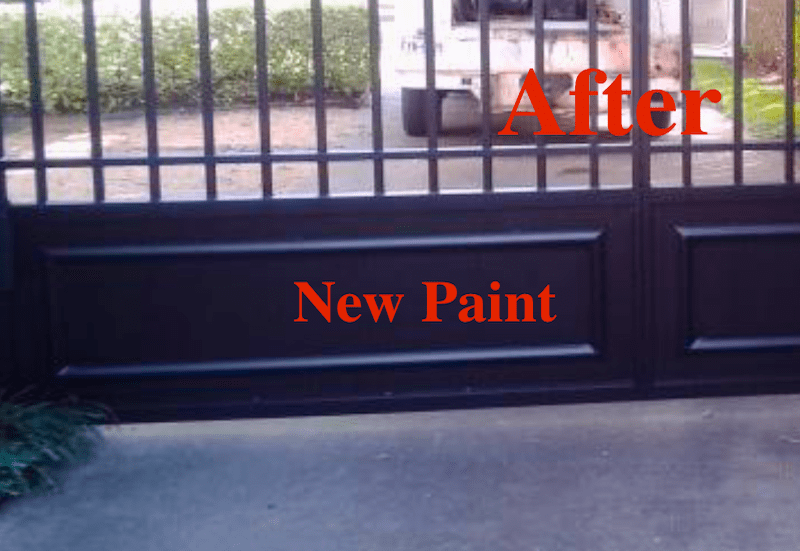 It is important to repaint your gate approximately every 5-8 years. We offer onsite painting for steel fencing and gates. Every paint job includes cleaning, sanding rusty areas and spray painting with two coats of Sherwin-Williams Kim 400 quality paint.